The must have celebration cake for little (or big!) princesses. 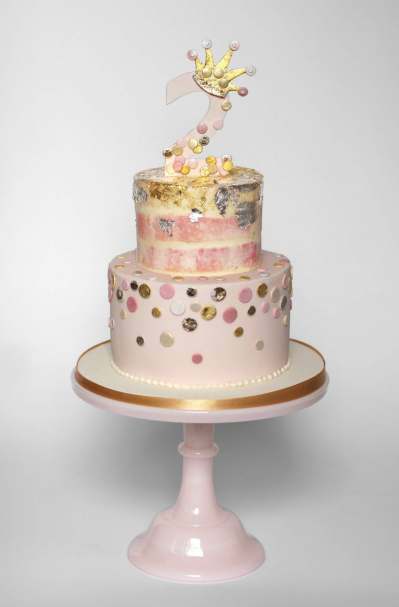 A buttercream base tier topped with a "naked" style pink sponge cake finished with silver and gold leaf polka dots topped with a sugar number and crown!